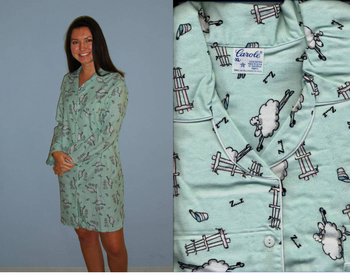 Enjoy this Ladies Flannel Counting Sheep Nightshirt in a shorter 41 inch length in a super soft 100% cotton flannel (5 oz. per sq. yard). 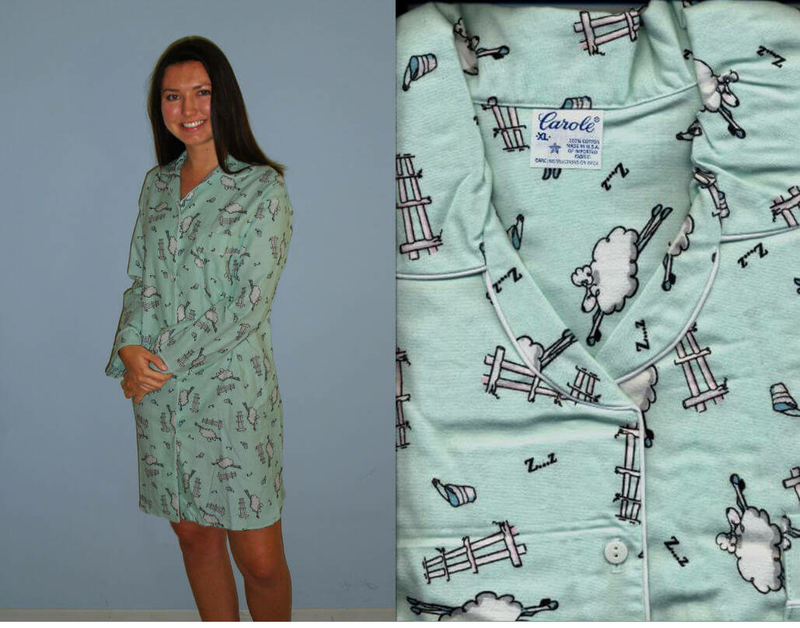 The Ladies Flannel Counting Sheep Nightshirt features a shirt collar, rounded bottom, left breast pocket, and long sleeves with a cuff. Offered in two sizes Medium and X-Large. Quality made in the USA in a full cut to allow for shrinkage. Machine wash and dry. 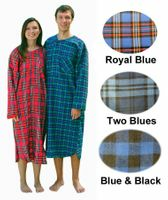 MEASUREMENTS: Our Ladies Flannel nightgowns are all made in the USA by the same company and have the above measurements (before shrinkage - shrinkage would probably be 1 inch across the chest and 2 inches in length. Size X-Large only. 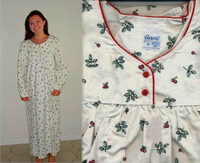 Unfortunately, this very popular, soft, and wonderful Ladies Flannel Nightgown is no longer available from our USA manufacturer at this time. Width 25 in. 29 in.